When an auto crash happens, there is usually a lot at stake and a lot of loss is incurred. Most times, the damage is irreparable. So many people in Whittier have lost some part of their bodies due to one auto crash or the other. Overall, this is usually a terrible experience and victims deserve to get one form of compensation or the other for the trauma and agony they’ve been through. Although it shouldn’t be, chances are that if you do not fight to be compensated you wouldn’t get even a dime and this explains the whole essence of the creation of Rawa Law Group. Rawa Law Group is a legal entity with over twenty years experience in interceding for the rights of auto accident victims. 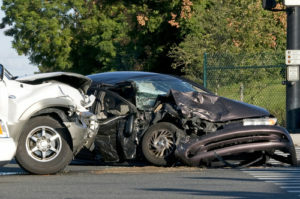 Our auto accident lawyers either pay you a visit at home or in the hospital to know a thing or two about the circumstances that led to the crash. Our team works with the information gathered to secure your entitlements. One would expect that a company with such bounty offers would charge high fees for such services. As a matter of fact, our rates make a lot of sense based on industry standard. In fact, our payment method is so flexible and you do not have to pay a dime until the case is concluded and you have fully received all your compensation. To get in touch with us, use the details below.